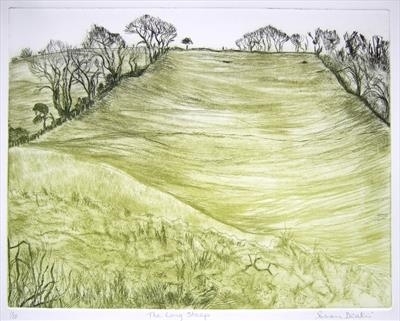 Returning to one of her favourite landscapes, the artist celebrates a Devon field in wintertime. 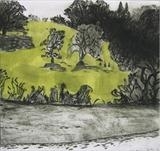 The green field stretches up to a hedgerow of bare tree silhouettes on the skyline. Made in an edition of ten prints, the drypoint plate was drawn on the spot to accurately record the features of the subject.